Let’s face it: It’s winter, not summer. It’s time for hot chocolate, not hot days at the beach. Reality hits hard with cold winter days that leave your skin tired and dull. No matter what, you’re still not ready to give up the warm, relaxing vibes of long summer days. Good news, you don’t have to! Bring home the beach and get renewed, exfoliated skin! 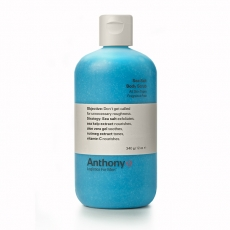 Get a little taste of the warm summer days with an amazing Sea Salt Body Scrub by Anthony Logistics for Men.